The European Union’s (EU) chief Brexit negotiator is plotting to ban talks on a future trade deal with the UK until the government responds to his demands to pay a £51.2 billion (€60 billion) divorce bill. 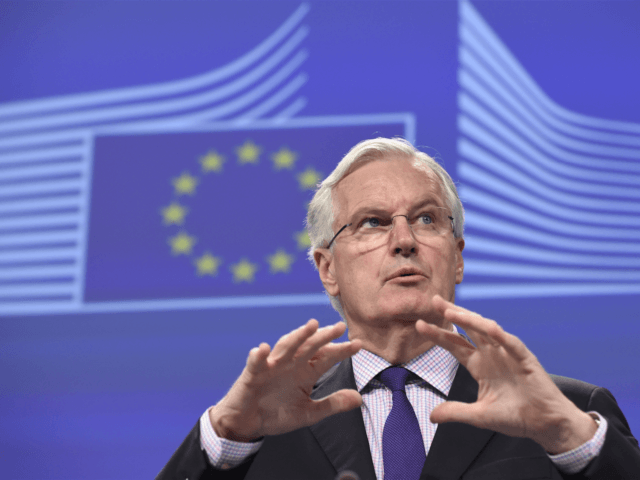 Michel Barnier also wants to withhold answers on the status and future of British expats living in the other 27 members states until his demands are met. “He thinks we will be discussing money and acquired rights [of expatriate citizens] until December,” a “senior eurozone official” who is in contact with Mr. Barnier told the Financial Times (FT). “No trade, nothing about the future, just the past”, the source reportedly added. If Mr. Banier has his way, therefore, divorce bill discussions could take up more than a quarter of the entire two-year negotiation period laid out in Article 50 of the Lisbon treaty. Brexit secretary David Davis told the FT the UK opposed Mr. Barnier’s plan. He said he wants all elements of Brexit to be handled “in parallel”, claiming he has told Mr. Barnier his “sequential” plan for talks “does not seem practical”. Five other national officials involved in Brexit negotiations confirmed Mr. Barnier’s prolonged timetable to the paper, with several arguing the UK was refusing to acknowledge it’s outstanding budget liabilities to the EU. Some EU nations are reported to be more sympathetic to Britain’s position than others. France is taking one of the most hard-line positions, demanding the UK cough-up the huge “divorce bill” before any progress is allowed to be made. Other nations, however, recognise the EU must offer the UK “sweeteners” if the government is going to consider paying the huge bill. Spain, for example, opposes “strict procedural requirements” and has backed early discussions about the bloc’s future relationship with Britain.